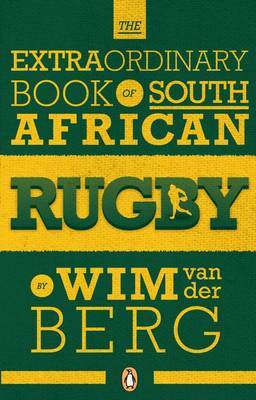 The Extraordinary Book of South African Rugby will hook any rugby fanatic. Packed with facts, stats, quotes and anecdotes, from the comical to the controversial, this collection celebrates the rich history of South African rugby. This extraordinary book will run fans through the most enthralling stories to come out of South African rugby, including: How Manie Reyneke was late for his wedding reception after playing a club semi-final; the 90-metre penalty by Oostelikes; how the first Springboks to travel by plane limped over the ocean on three engines; how Kimberley travelled 60 hours by mule wagon on their first tour to Cape Town; how Springbok Andy MacDonald killed a lion with his bare hands; the spectator tackle that cost Western Province the Currie Cup; Paul Roos' weekly 260 km cycle to Pretoria to play club rugby.